I am a former ecologist, a hybrid between a Kansas Jayhawk and a Texas Longhorn. While learning about evolution in Kansas is a contentious issue, with the help of KU, and Ed Wiley, we got it done. I earned a Bachelor of Science degree in Zoology, and informally specialized in aquatic ecology and fishes. It was in Texas, down at the Gulf Coast, where notions about energy began swirling around in my head as I studied the energetics and metabolism of swimming fish. In graduate school at UT, I was walking on the same beaches as H.T. Odum, Gordon Gunter, Curly Wohlschlag, and other luminaries. The legacy of these ecologists was very influential as I earned a Masters degree. After graduate school, a mover and shaker, Dr. Vic Arnold, who had been a former intern in LBJs White House, helped me to get a job in state government in Austin. I got a call from the Governors Office causing my parents to freak out, and causing me to learn the realities of oil-based politics in Texas. It was very educational, but also very stressful for this wet-behind-the-ears ecologist. I learned once again how important energy was, but this time it was energy in the economic and political systems. Then I spent about a decade as an environmental consultant in Houston, assessing the environmental impacts of natural gas pipelines. It was good work, and I got to learn about regions of the country in great multidisciplinary depth, along a pencil line traversing USGS maps. There were occasional marine facilities to consider, so I dabbled both onshore and off. In about 1983 or so, the oil economy went slack in an event we called the Oil Bust. My employers told me I could keep my job, but could not spend any money. 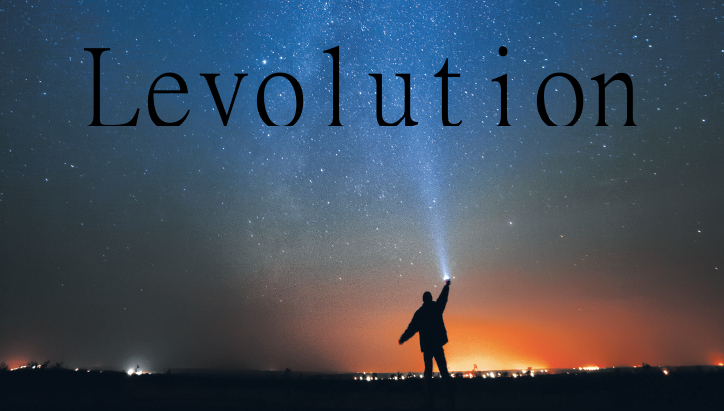 I started writing the book that eventually became Levolution. It took another 30 years and several careers and entrepreneurial ventures before I could get it done. Science had moved in the meantime, but Chaos, Complexity, and the luminaries at the Santa Fe Institute did not scoop me, like I thought they might. So here it is 2014 and Levolution is, in a way, my life work. It is not done because the book got so big that I had to chop it into two. The second one is coming soon, and the third, fourth and fifth are outlined. I have unleashed a tidal wave of ideas. I am just trying to act normal while I get it all out to the world.